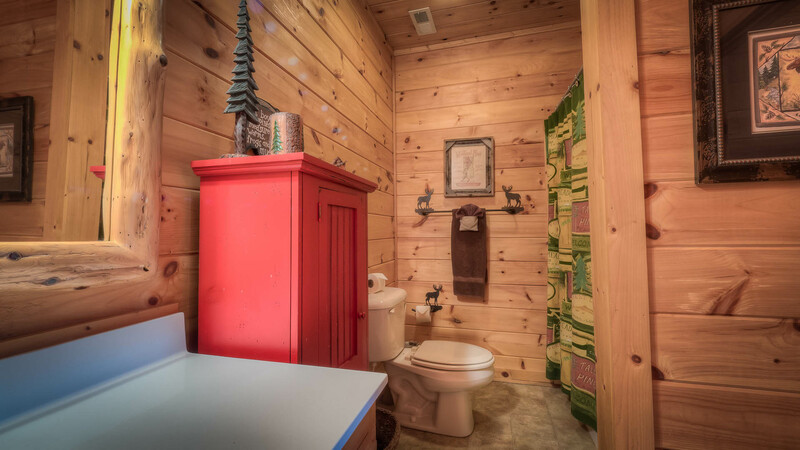 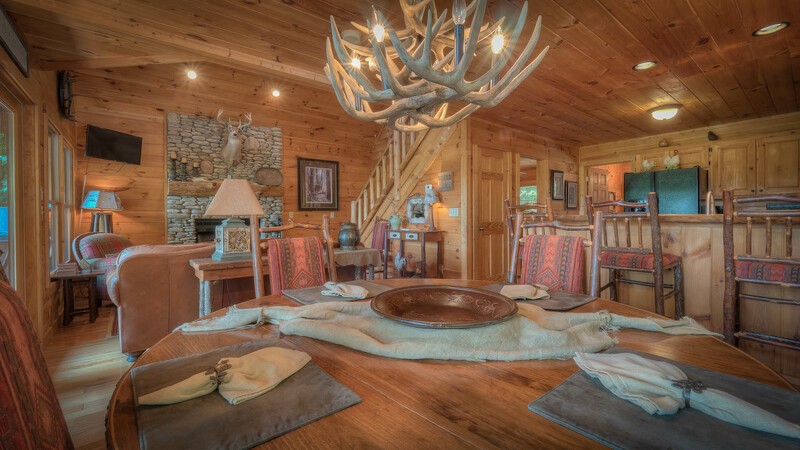 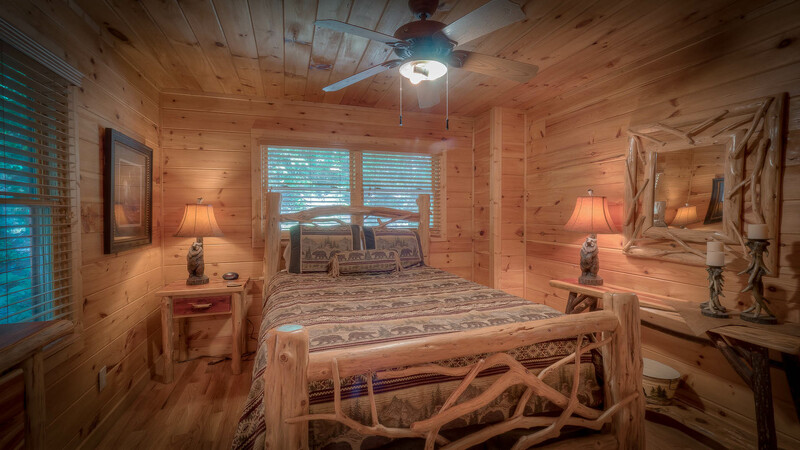 The beautifully decorated mountain cabin will make a lasting impression! 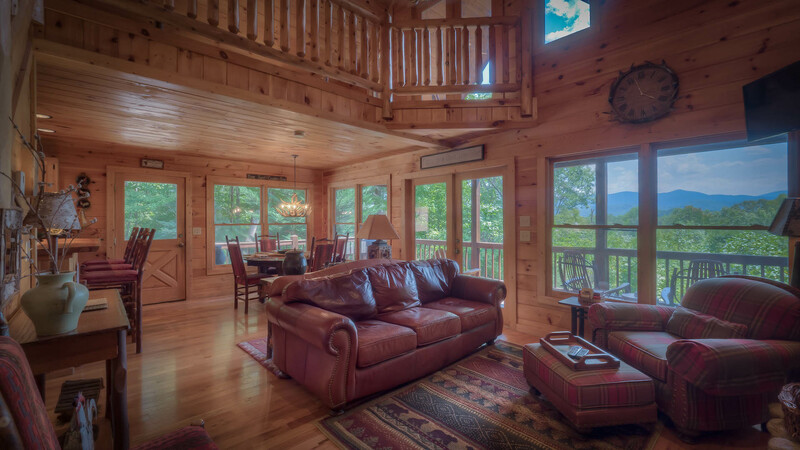 Beary Kozy is a beautiful cabin with a year round mountain view and is perfect for one couple or a family! 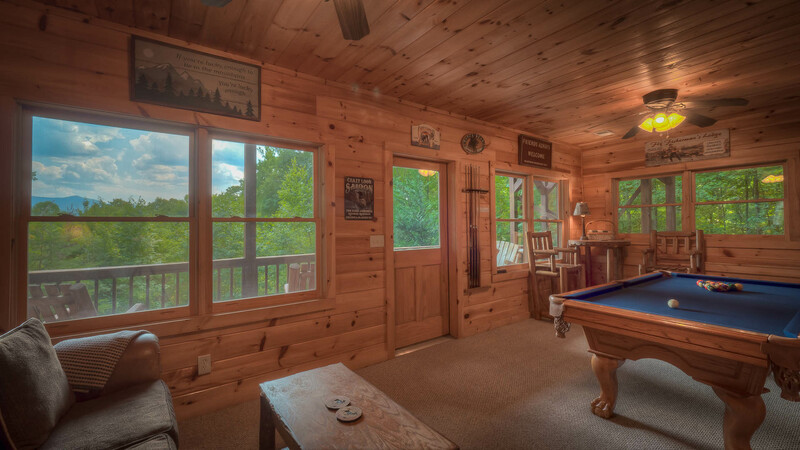 The main level has a large covered porch with chairs and a pic nic table and open deck with hot tub for star gazing. 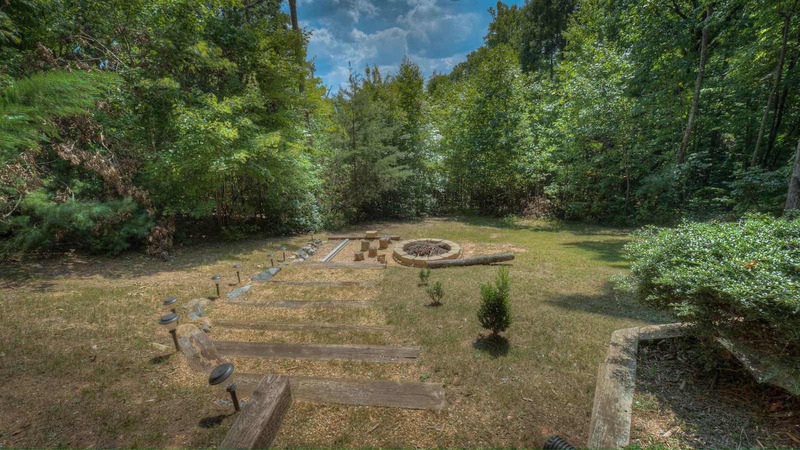 Inside this level you will find a kitchen with upgrades, dining area with table and bar and a living area with leather furniture and gas log fireplace and television. 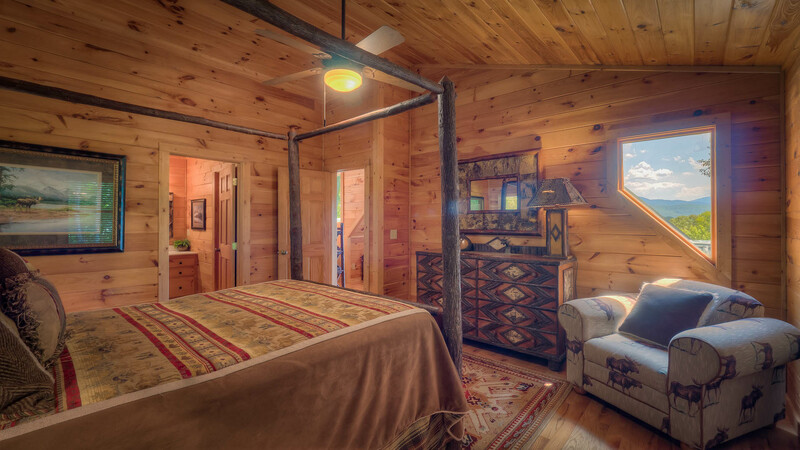 The bedroom on this level has a queen bed and full bath. 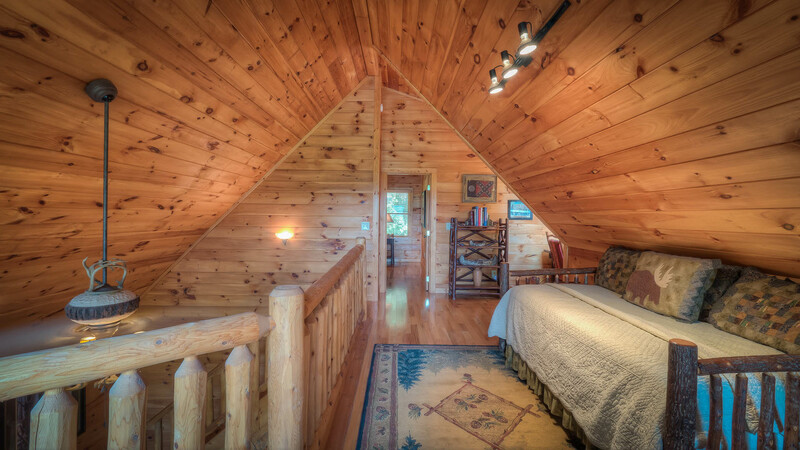 The upper level has loft area with a daybed and reading/work area with desk and the master suite. 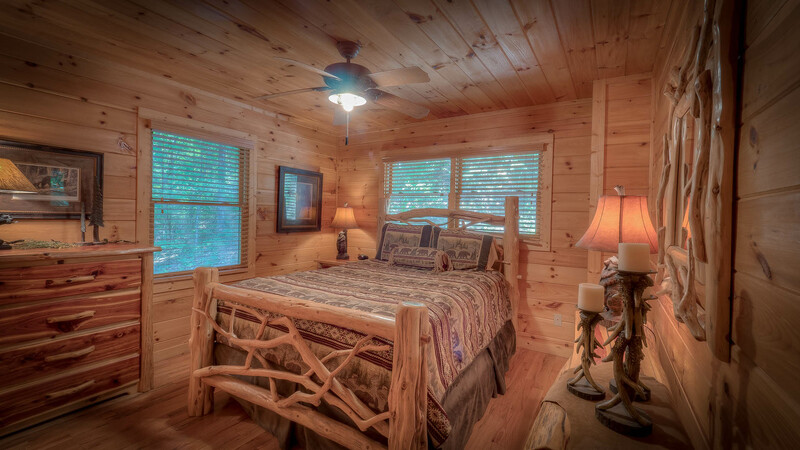 The master bedroom has a four poster queen sized log bed and full bath. 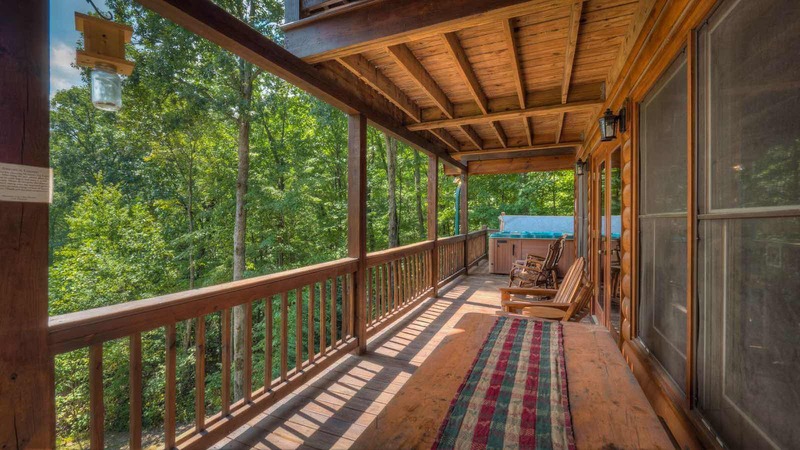 There is also a private balcony with chairs that look out at the mountains just off the loft. 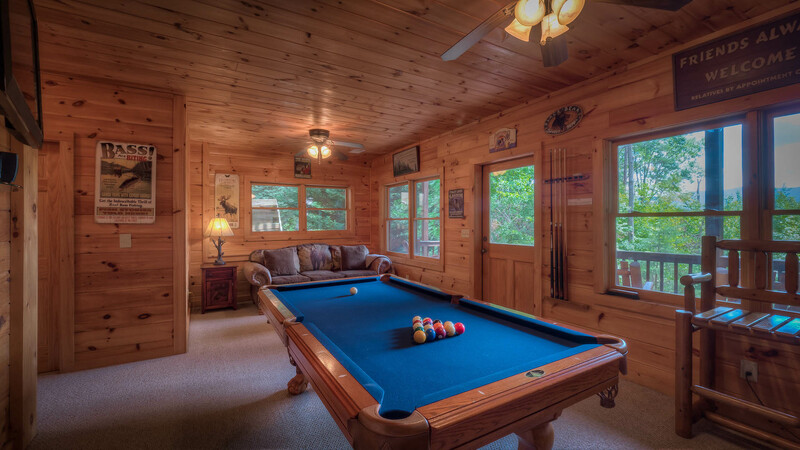 The full finished basement has family room with flat panel tv/satellite/dvd player and pool table. 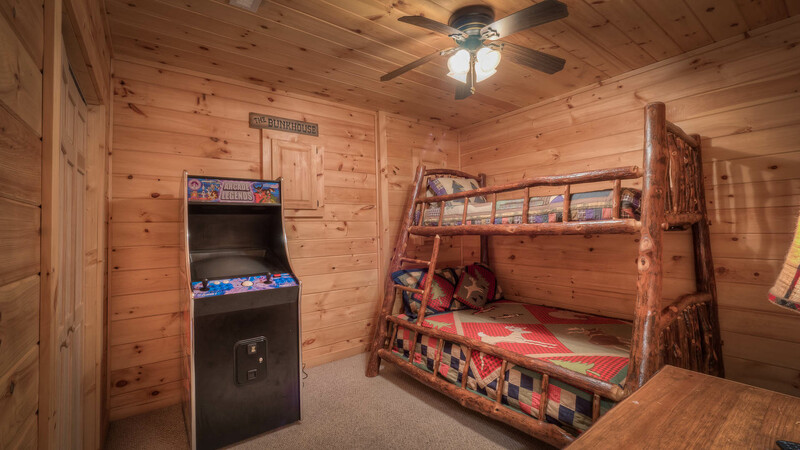 The bedroom on this level has bunks with full on bottom and twin on top, an arcade game with 35 games and tv for use with DVDs. 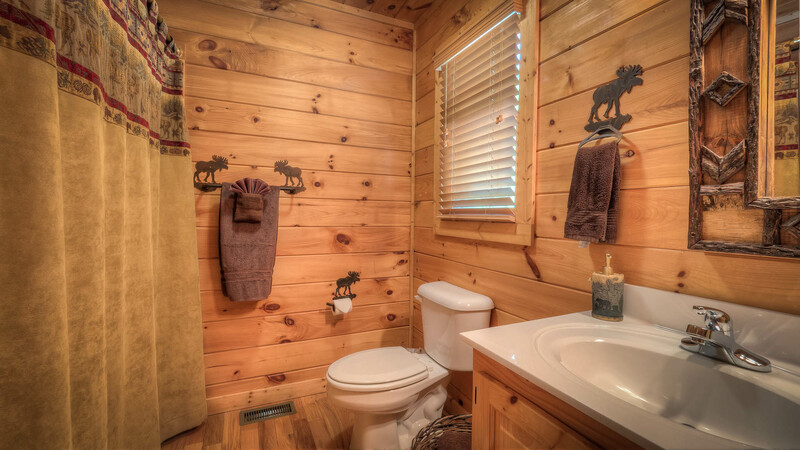 The 3rd full bath is on this level. 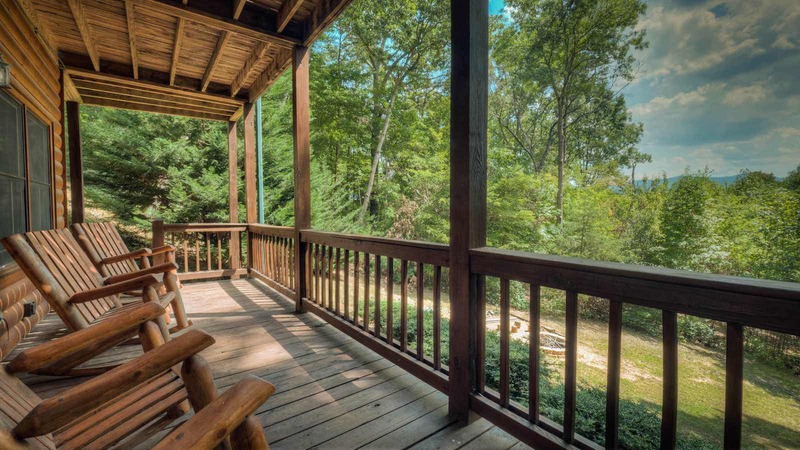 Outside the 3rd level is another covered porch with seating. 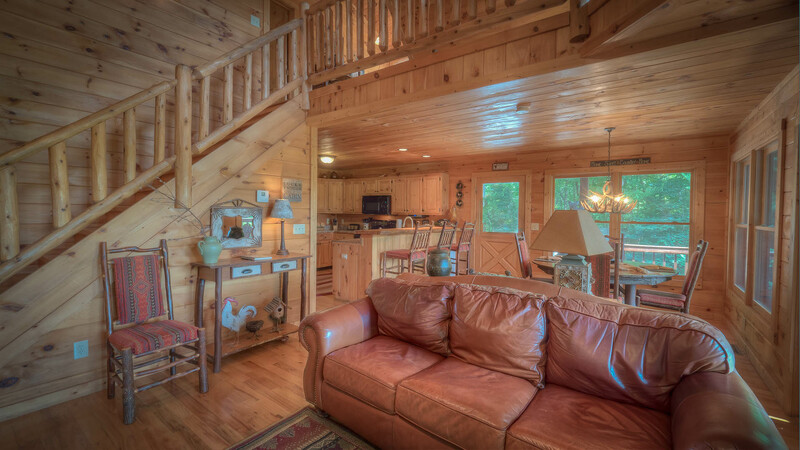 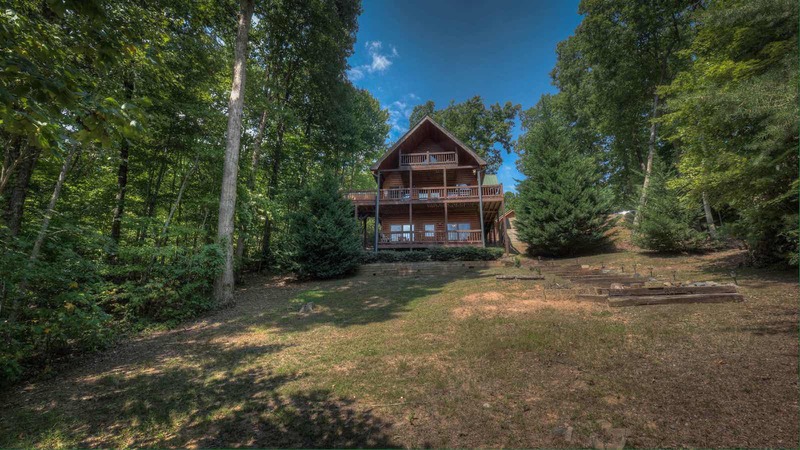 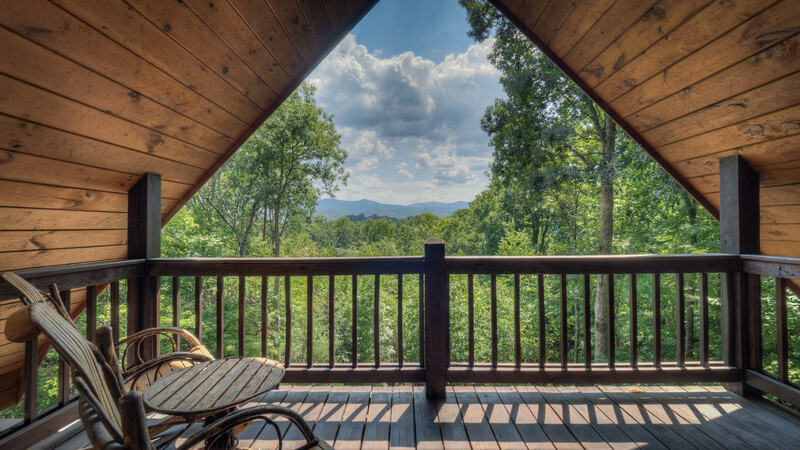 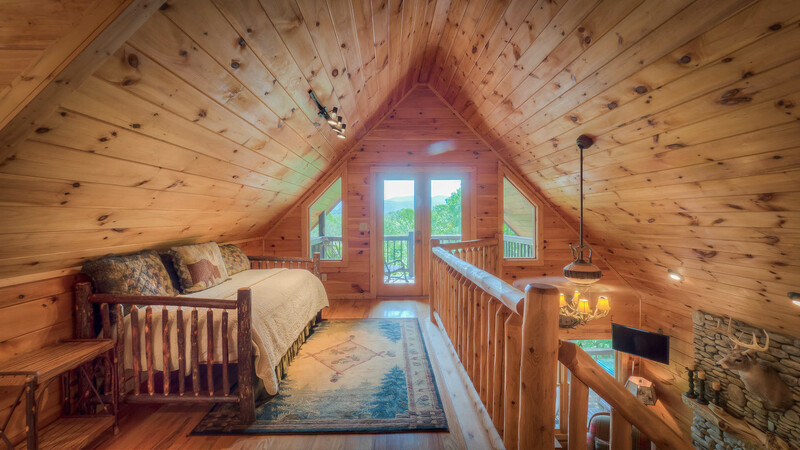 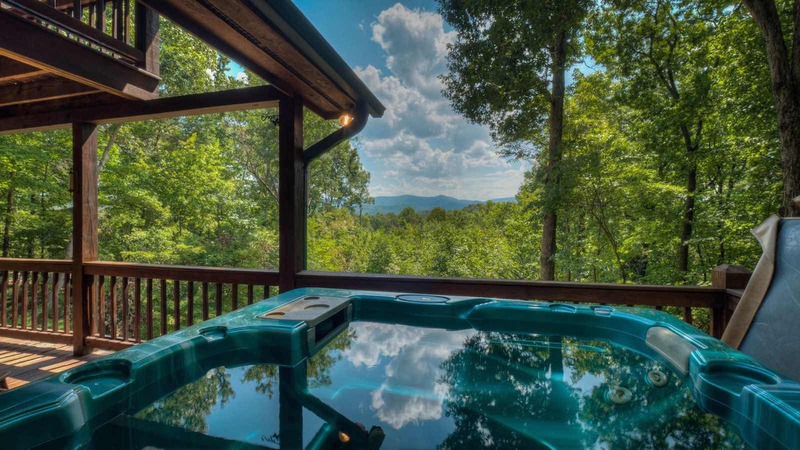 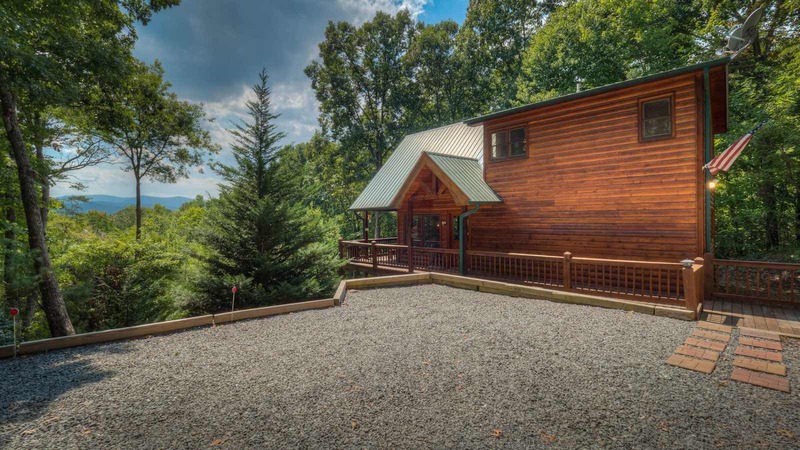 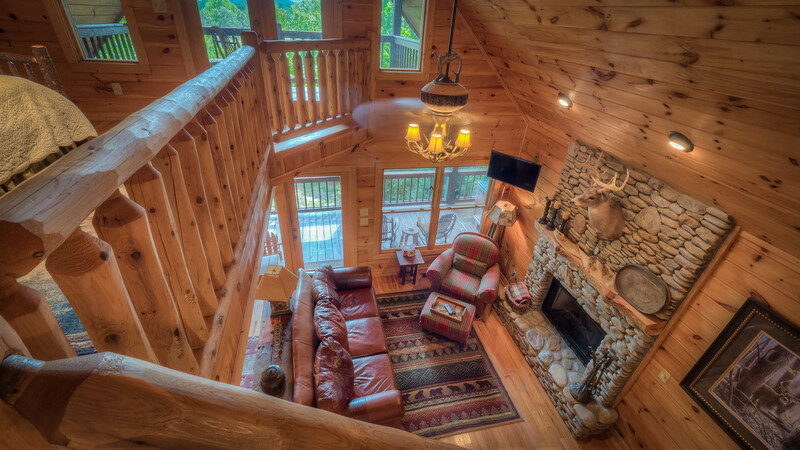 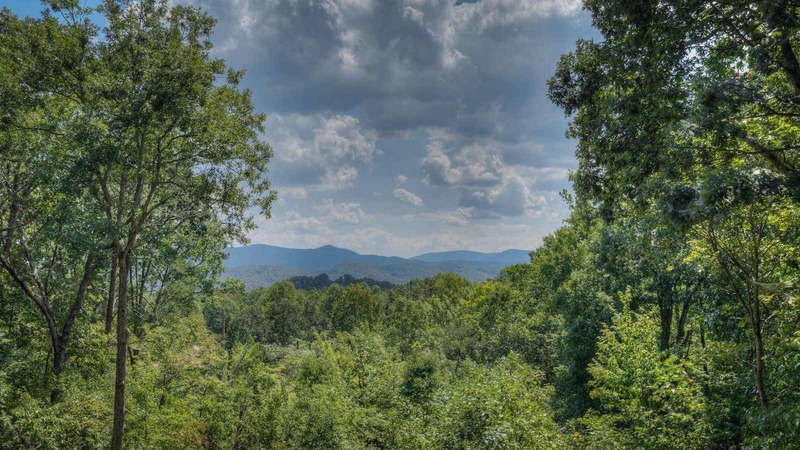 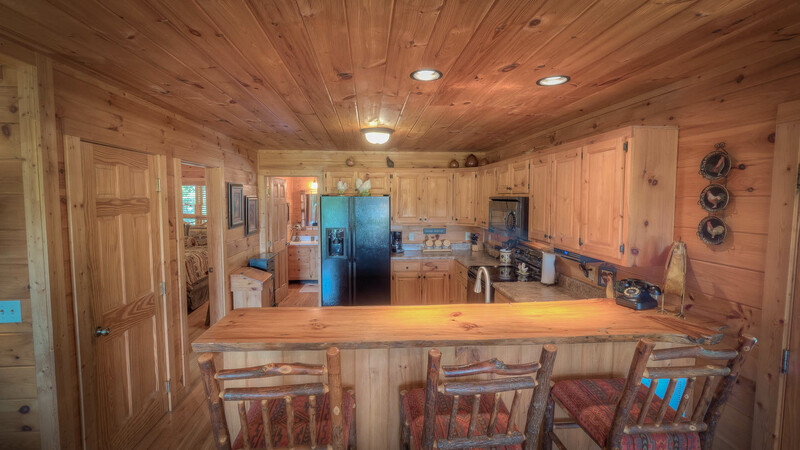 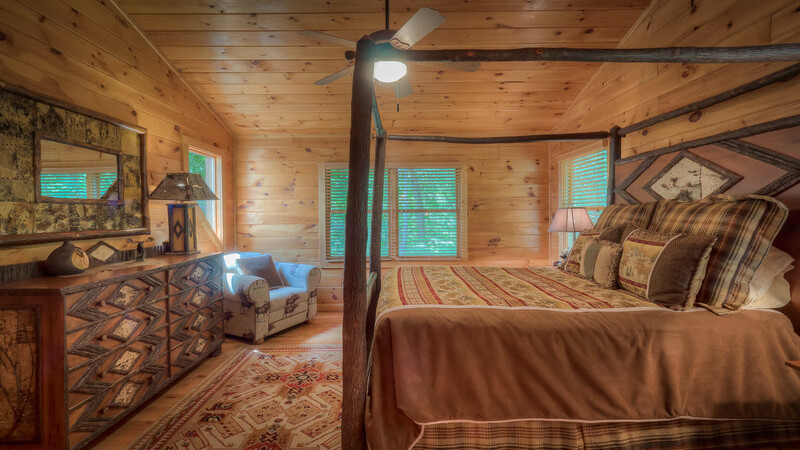 Beary Kozy will make the perfect getaway cabin for your next vacation in the Blue Ridge mountains! 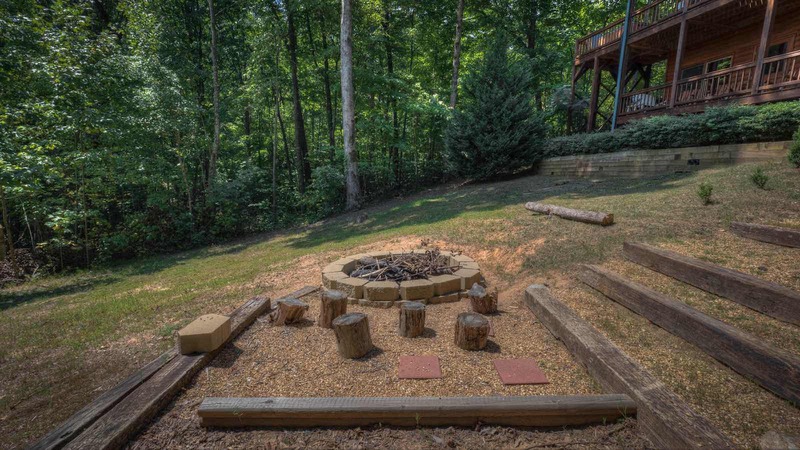 It is located just minutes from downtown and easily accessible. 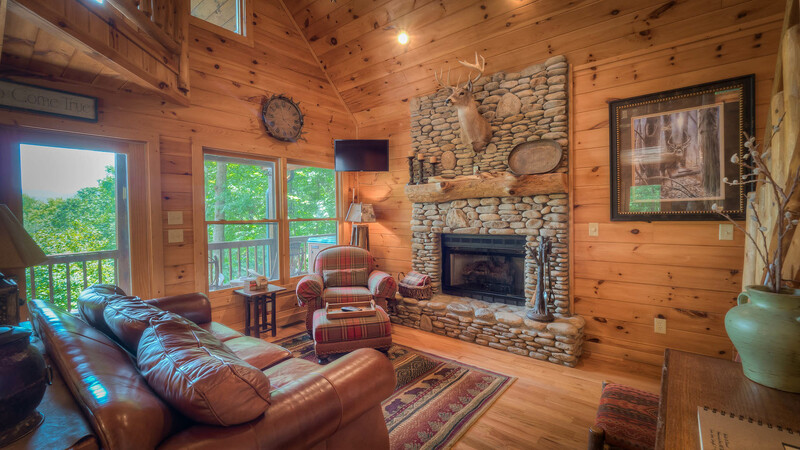 A Beary Good Life is also nearby for guests with a another group looking to stay also, being less than a mile drive from Beary Kozy.